Halloween Boxcar featuring a festive scene. 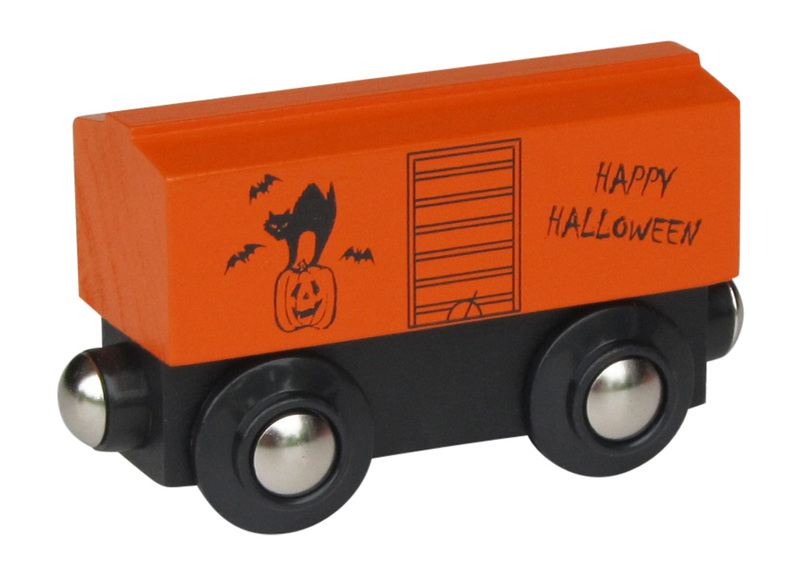 Add this wooden train car to your collection for a little spooky Halloween fun. Exclusively here! Approx. 3" long.